The only major grocery store in one Prince George's County community is closing. The Safeway store in Seat Pleasant, Maryland, shutters Friday, and community leaders say residents in the area devoid of stores to buy fresh food need a replacement fast. "If you go out here and start at the District line and go all the way to I-495, there is not a grocery store for these people to shop," State Sen. Joanne Benson said, her voice rising in anger. "We just cannot go along with this any longer." Having a grocery store nearby is especially important for senior citizens, leaders and residents said. "I’m really sad to know that it’s closing because my parents and so many friends and neighbors really rely on having the convenience of the Safeway," one shopper said as she stood outside the store on Central Avenue, near the Addison Road Metro station. 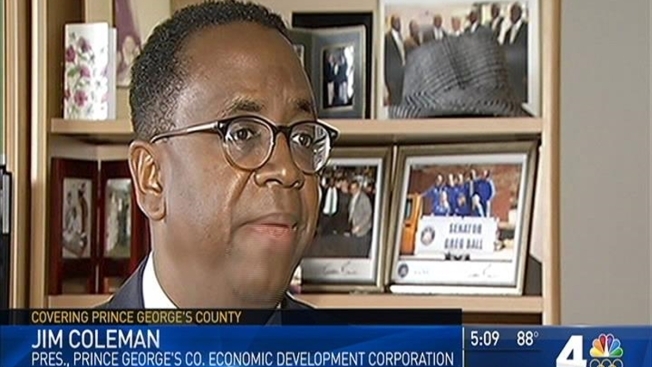 The store closed because it was losing money, Jim Coleman, the president of the Prince George's County Economic Development Corporation (EDC), said. "They had been losing a million dollars over the last three years, and they did their best to keep that store open," he said. Benson and others argued the store lost customers because it was rundown. "There has not been even a paint job inside the store," she said. "People shop in a store that looks presentable, that is clean and conducive to them wanting to shop there." The employees of the store will be moved to other Safeway locations, the closest of which is nearly 3 miles away. Capitol Heights Mayor Marnitta King said she worried about the impact the closure would have on businesses nearby. "I’m sad for them because they are going to lose income because people aren’t drawn here," she said. Coleman said the economic development corporation is already in talks with retailers about moving new stores into the county. "There are several supermarket businesses that are very interested in Prince George's County, and they're looking at a lot of different locations," he said. "At the EDC, we're going to let them know that this location is currently available." In the meantime, Safeway recommended that shoppers visit their store on Benning Road or order groceries from the company online.